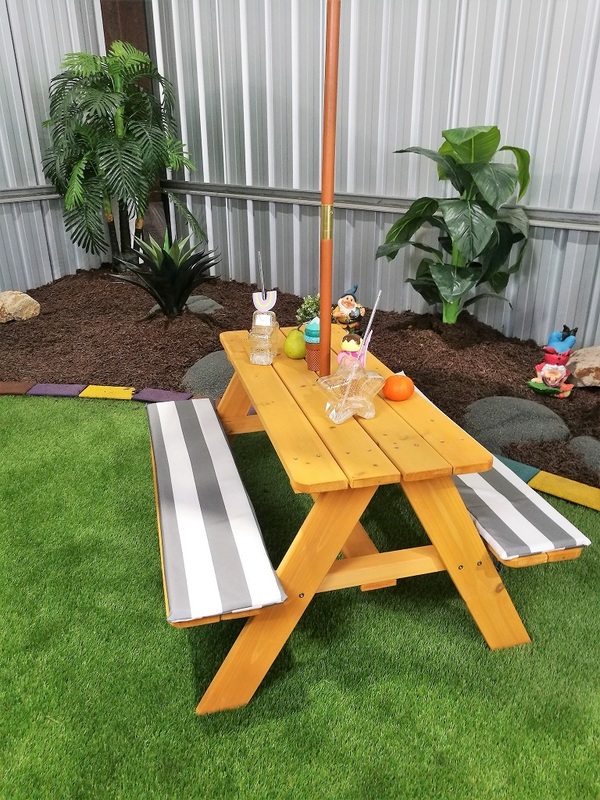 It's time for a picnic! 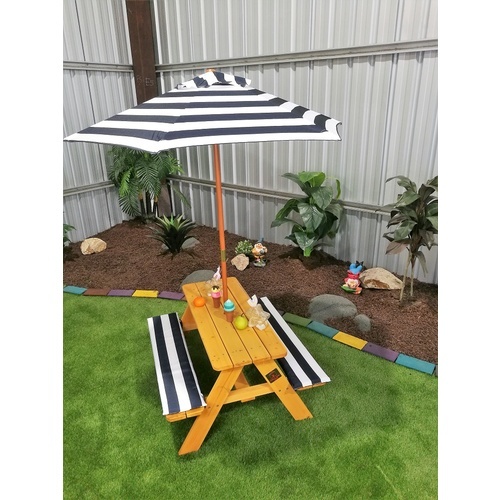 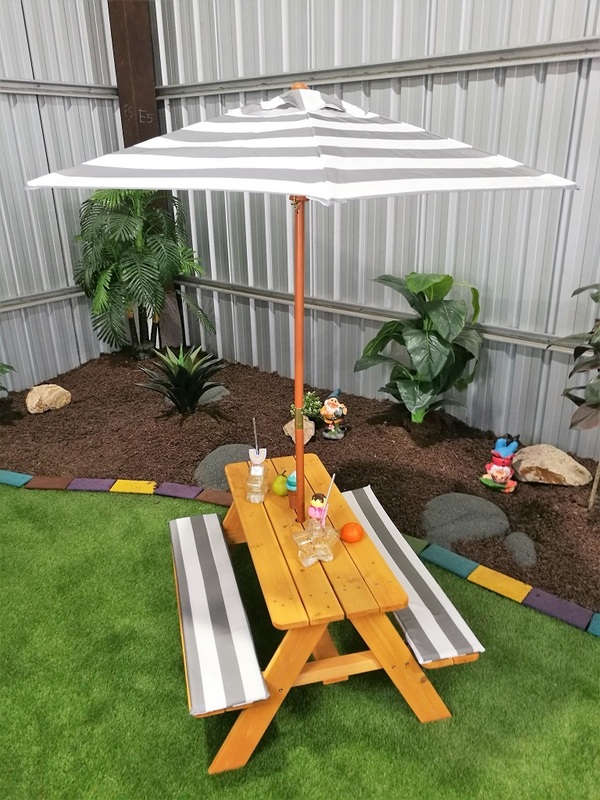 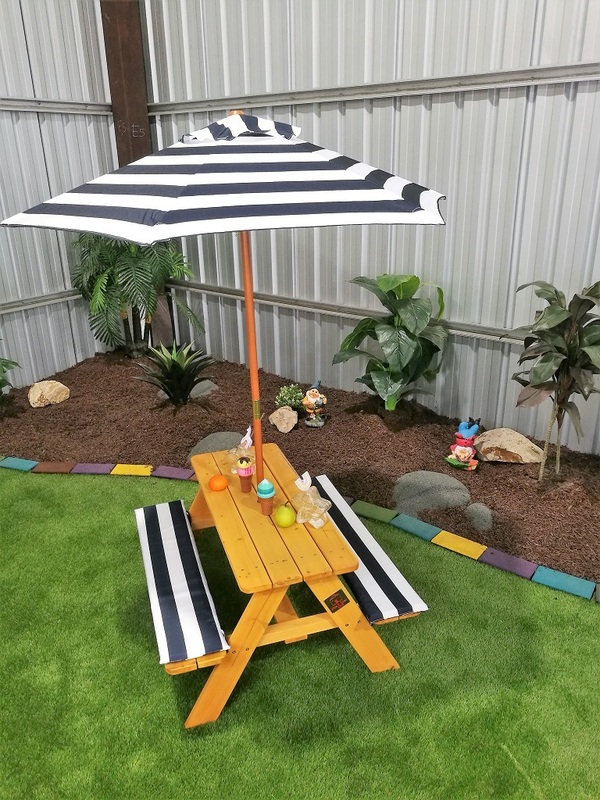 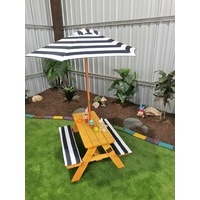 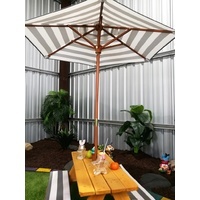 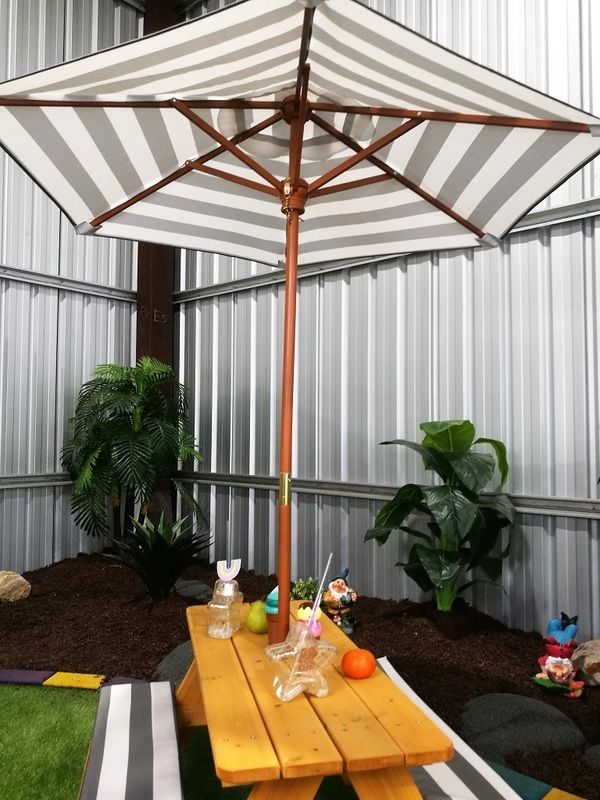 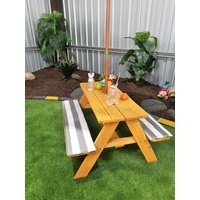 Forget the blanket, this Kids Picnic Table will be the go to every time, comfy cushions and a nice big umbrella. 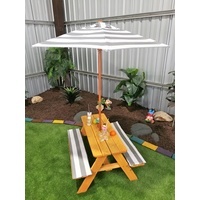 Comes in a natural timber stain, but can be easily painted over to protect it even more from the elements. 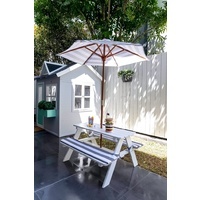 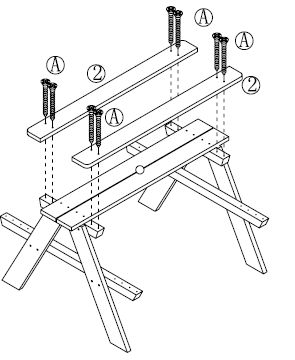 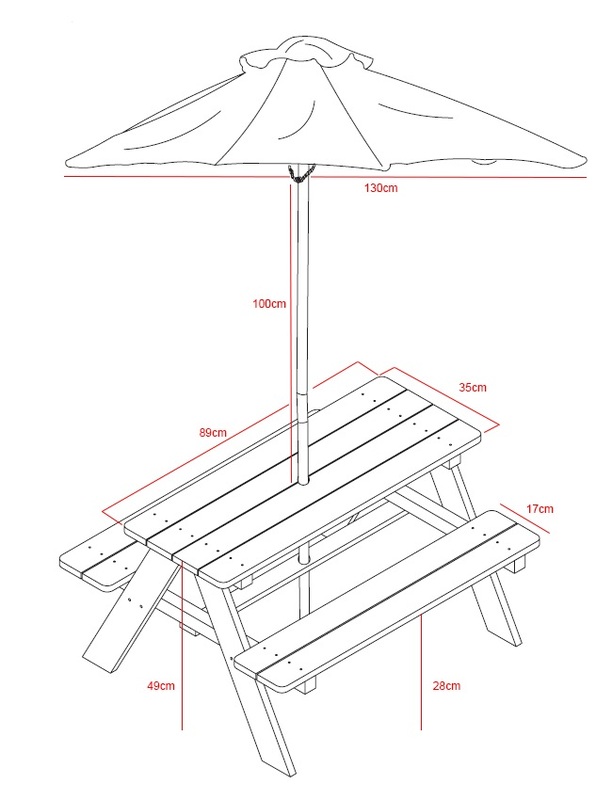 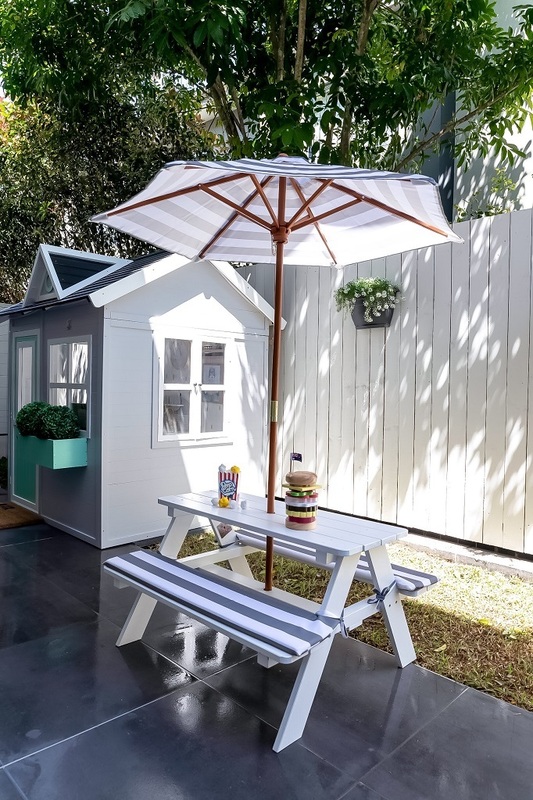 What's Included: Picnic Table, Bench Cusions & Umbrella.